Born in sixteenth-century Argentina, Francisco Maldonado da Silva is nine years old when he sees his father, Don Diego, arrested one harrowing afternoon because of his beliefs. 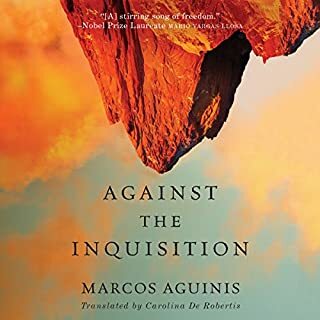 Raised in a family practicing its Jewish faith in secret under the condemning eyes of the Spanish Inquisition, Francisco embarks on a personal quest that will challenge, enlighten, and forever change him. Here, perhaps, is the greatest Indian novel by a woman. 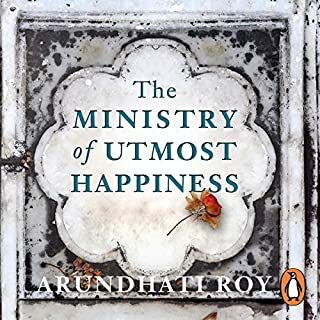 Arundhati Roy's The God of Small Things is an astonishingly rich, fertile novel, teeming with life, colour, heart-stopping language, wry comedy and a hint of magical realism. 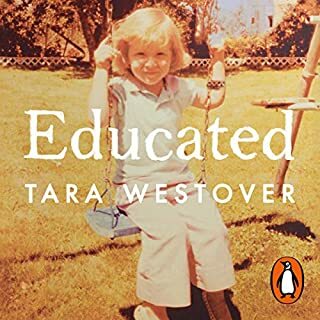 I wasn't sure whether to read this as an audiobook or on Kindle, but I'm really glad I went for the audiobook. Aysha Kala's narration goes above and beyond. A great match for the author's sly wit. 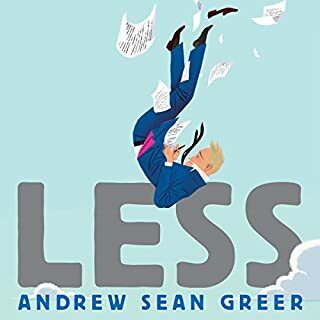 She does an awesome job with all the characters, but in particular, she captures the children's playfulness in a way that brought me a creeping sense of foreboding, and that eventually broke my heart, as the story unfolded. 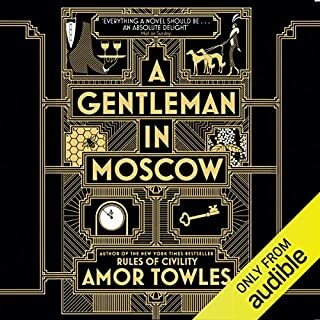 I've churned through a lot of audiobooks; very few are read as wonderfully as this one. The story itself is beautiful and a very worthy Booker winner. 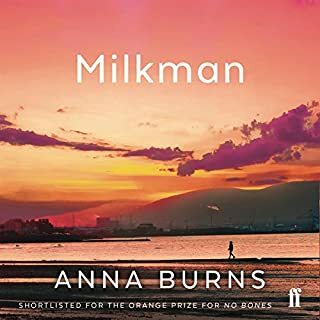 Beautifully written, more poetry than standard novel, able to conjure the most shocking cultural brutality with the emotional depth of an impressionist painting. The use of time and spirituality as unmarked stagehands is reminiscent of Isabelle Allendes magic realism. 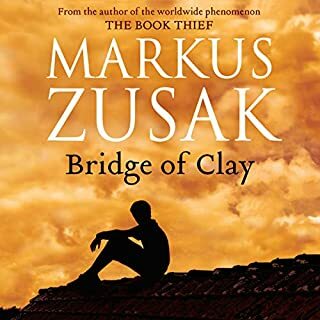 The story was great but it was a bit too wordy and non-linear for it to really shine in an audio book format. Beautiful, rich prose & sublime narrative! it's hard to describe the absolute devastingly beautiful, rich unique voice of this story without sounding cliche, but it deserves every expounding platitude and more! I thoroughly enjoyed immersing myself into this tightly woven world. The narrator's performance was just perfect, particularly for this book, complementing the story perfectly. Having read this book years ago, it was just as enjoyable as I remember. Great characters and the performances are brilliant. The story invoked The sites and smells of India, the story gives an insight into the complexities of life in India. I recommend this book it’s up there with Rohan Mistry’s A Fine Balance. A stream of boring unconscious thoughts. 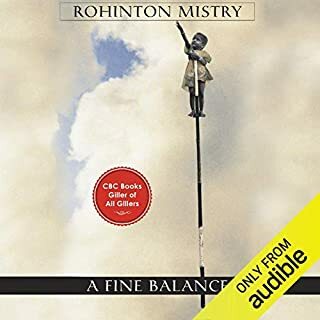 Was recommended as the best book of the last ten years but it did not translate to audiobook and was hard to follow and difficult to understand. This book was intense! I loved every minute of it. the end had me in a grip and didn't let go until the end. I definately recommend! This story had me engrossed from the start, and it was moving, beautifully written, and touches the heart. 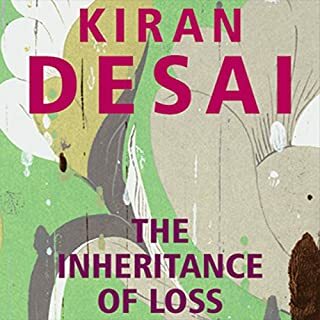 Though this story took place in India, it could have been set in many other places where there are taboos, social strata, and a class society - which means, almost anywhere. What was unique to India, was of course, the atmosphere, the landscape, the color, often quite dreary, and Roy depicted this beautifully. The narrator, Aysha Kala was just sublime. Her voice is sweet and calming, she handles the delicate and difficult parts with sensitivity and delicacy. She also does a wonderful job of speaking in Indian English when called for, but I would not want to see her typecast for Indian stories (or parts), alone. She is too versatile for that. She did a great job with other accents, her natural accent is lovely, and she did a fairly credible job with an American accent. I’d love to hear much more from Kala, and hope that since she is quite young I have a lot to look forward to. Aysha - I hope you read this! Kudos to you! More than a story, this impressionistic word painting captures the unfolding of events and conveys history as lived by the two children and their mother, protagonists. Amazing delivery of imagery and especially of the way that children are affected by grown-ups. Great narration. the story made me aware of the racial discrimination we still face within our own countrymen no matter where you live. it is an insight of the small things we do but never admit. It has been a long wait. 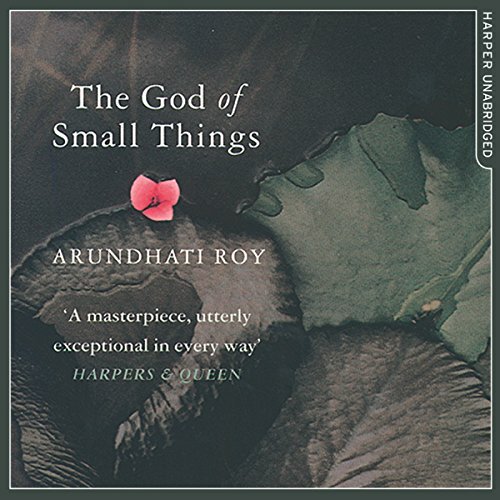 Twenty years after the print publication of “The God of Small Things”, and with 6 months until the planned release of Arundhati Roy’s second novel, “The Ministry of Happiness” it is a great joy to finally have an unabridged audio edition of “The God of Small Things” available. Roy’s novel grows slowly, a piece at a time. The further into the story we get the more we begin to understand what has gone before - how earlier information fits into the new pieces. From a small shoot the novel grows into something very large, where events will irreversibly affect many lives. 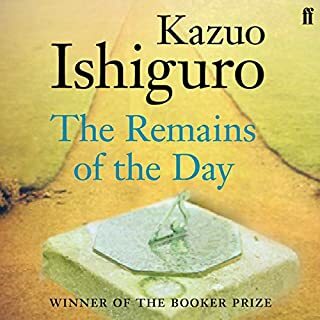 The novel won the 1997 Man Booker Prize and I expect that it was both the captivating story and the beautiful prose that made it stand out. To me both were absolutely magical. Aysha Kala’s narration is, for the most part, wonderful. There are minor distractions, one word I think she may have misread, a brief slip of an accent and there are a couple of glitches in the recording toward the end of the book. Overall I think a book of this stature deserved better treatment. I am so grateful it is available unabridged in audio that I am happy to overlook minor flaws in the production. If you’ve wondered about the book & are considering spending a credit on it, do. It’s one of a kind - at least until the release of “The Ministry of Happiness”. Exquisitely, horrifyingly, grotesquely and tragically beautiful. Read this when it first came out and it instantly became my favourite book. 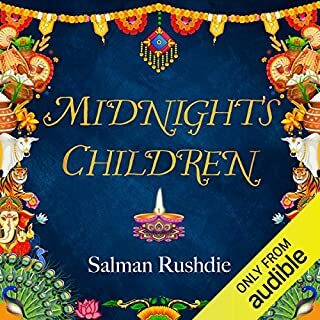 I have come back to it all these years later on audible and it is every bit as captivating, pulling you into the lives of the characters and making you feel everything. The book covers many, many upsetting topics (partner abuse, child sexual abuse, death, murder) it talks about the caste system and rules of men and women. 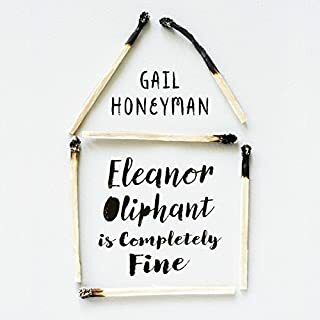 It does all this in such a vivid, almost palpable way that you can't help but finding yourself deeply involved with the characters in such a way that you come away feeling angry, elated, frustrated, hopeful, sick, distraught and much more. 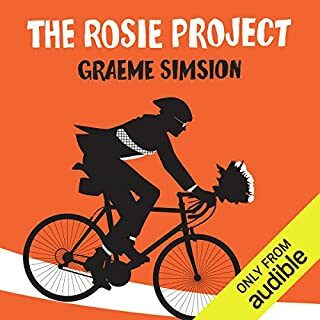 Having read the book several times I am delighted this has been released as audiobook finally. 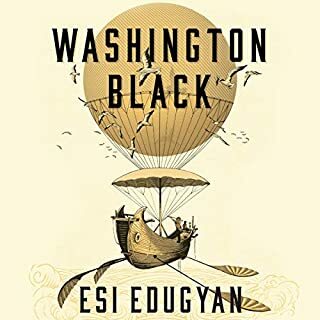 The story comes across easily and I would recommend this to the countless people that have sadly given up on the book because they found it hard to follow. Narration is perfect too! Beautifully produced! 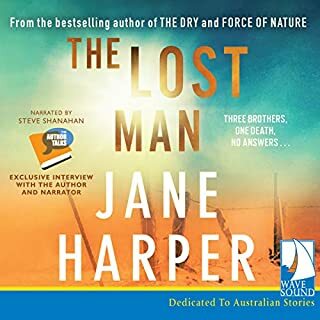 My absolute favourite audio book so far. 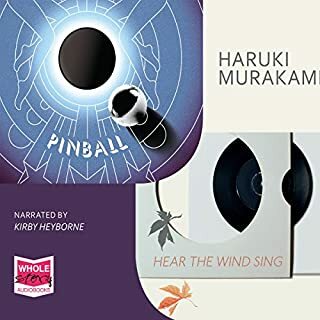 The narrator is engaging and enjoyable to listen to. The plot is clever and set across different times. Starting at the ending and ending in the middle, it keeps the reader interested throughout the narrative. Desperate to know not what happened but why and how. The final chapter is bittersweet and all of the imagery is beautiful. 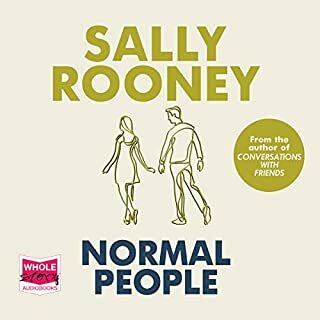 This is a very dense audiobook. Not the sort to listen to whilst working. The whole thing feels like a 12 h poem. Beautifully written. Words and phrases and characters that will stick with you. I almost gave up, but I stuck with it, and I’m glad I did. Very rewarding read. A fantastic narrator who brought the characters to life with amazing authenticity. The language of this book is so rich I will now read it for myself! bloody brilliant but may leave you slightly traumatised! One if the best but most disturbing books I have ever read/listened to. 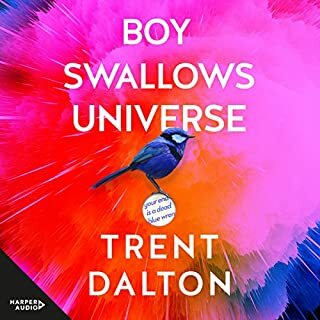 The narration was okay, bits were done very well, but other bits were below average - including some rather strange cadence in sentences, i.e pausing at the wrong places, disjointing the prose. Perhaps I’d been spoilt after the amazing narrator of Shantaram! pileup of self consciously clever description. But characters utterly believable and very affecting story. Am I just not bright enough to see the value in this book? It had some nice chapters, it grabbed my attention in places, but overall I just wanted the book to end. If it was a movie, there is no way I would have sat thriugh it. Purely because Im in a book club I endured until the last line was spoken. Too many shifts in time periods.Too many undefined characters. Without the help of a family tree someone whatsapped me, and a litttle help from reading the plot online whilst being lost over half way through. I would have liked this book even less. Not my cup of tea, and it wont stay in my thoughts for very long.